Hooray FTDNA has now added a Pedigree View on their site. I was the primary person on this one and so cut off my details. 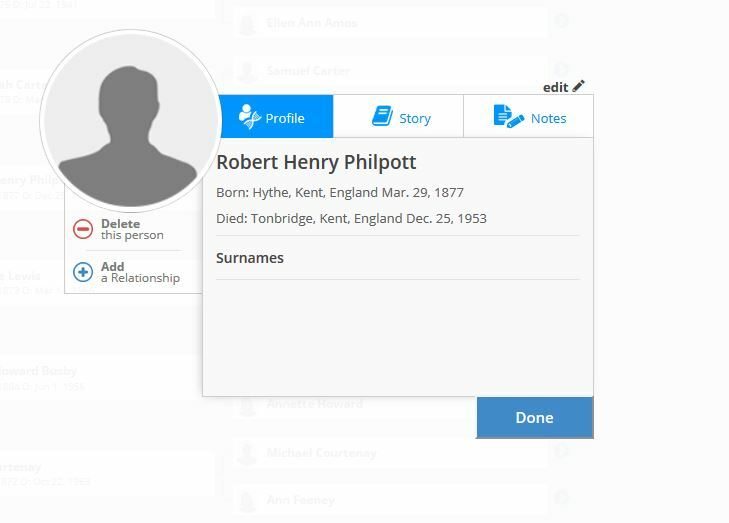 You can then click on a person such as Robert Henry Philpott and get the further details as shown below. Now this lovely new Pedigree View is only of value if someone has uploaded their Gedcom. FTDNA has been encouraging people to upload their Gedcoms for quite a while but there has not been the take-up we would all like (although hopefully everyone who is bemoaning no Gedcoms have uploaded their own!). And of course it is really no different to Ancestry where there are very, very many DNA tests that have no tree attached. It would be nice to know if the people who have no tree attached have an Ancestry subscription. I am assured by Ancestry that you can add a tree if you are someone who only has a DNA test and was told they are encouraged to do so when activating the test. From what I have been able to determine from this help page on Ancestry the DNA test only member can contact matches and receive messages. They cannot view the trees of their matches. I was honoured to receive the Bronze Rockstar award along with Michelle Patient in the recent “Rockstar Genealogists” survey held by John D. Reid of Anglo-Celtic Connections. Thank you to those who voted for me. I appreciate the recognition. I enjoy what I do and sharing what I know and it is nice to know it is appreciated. I hope that people everywhere will look at all the people nominated for the poll and Google those you don’t know. 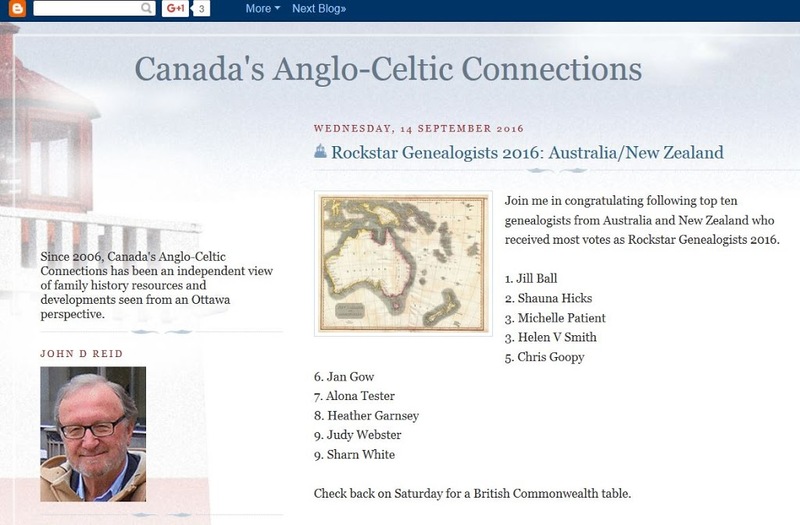 Find their blogs, attend their presentations and see why others consider them to be “Rockstar Genealogists”. 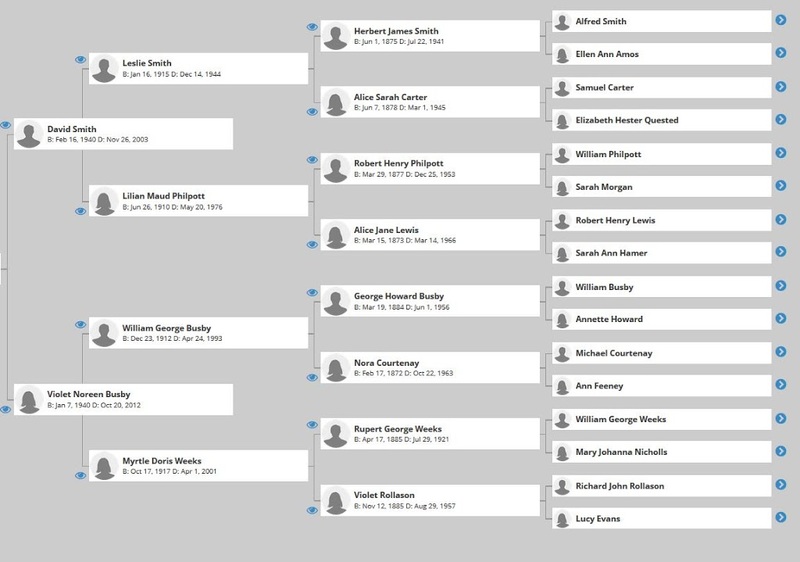 No award process is perfect but I feel there is value in highlighting genealogical presenters so conference chairs and we can use the opportunity to find more people from whom to learn. There will always be people who should be listed who are not. Was your favourite not listed? Did you nominate them?